Blue Line To get to the start of the blue line, you would need to make your way to Wisma Cosway for the interchange. You would first grab the purple line and stop at Wisma Cosway which is a great KL Go interchange spot to discover the city for free. How to get to the purple line. Make you way to the door and turn right. Walk along the street and you will arrive at a T junction. Turn left and head towards the metro station. You will see a bunch of purple buses at the terminal. The bus that is ready for boarding is by the road where it is on your far right. Board the bus and you are on the purple line. 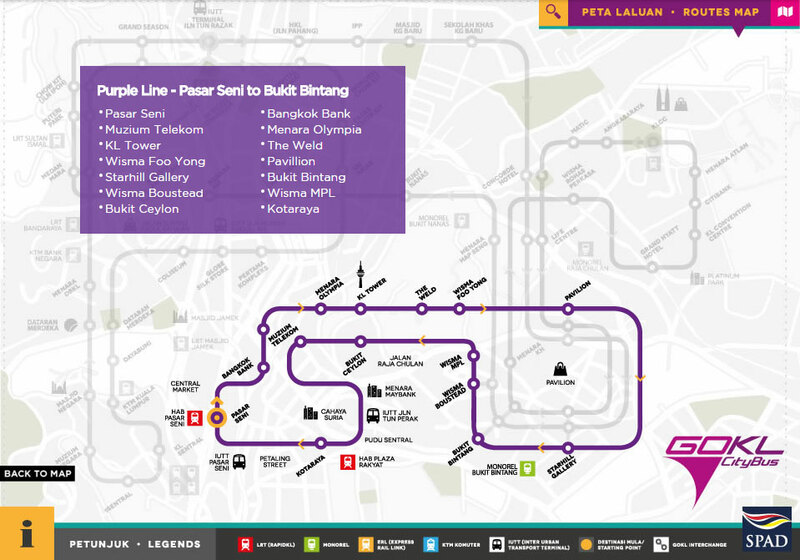 There are a few interesting stops on the purple line but all that info will be featured on another episode of “Wanna get around KL for FREE? (Purple line guide)” which will be published later on. So stay tuned! Here is Wisma Cosway’s stop for the interchange. Notice the large Cosway sign on the building. Here is where blue and green lines could be accessed to start your journey. The wait time should not be more than 10 mins. Pay attention to the front of the bus to know what color their lines are. Ps: Yes all KL GO buses are purple so please be aware. The start of your blue line adventure. The blue line is marketed to most city go-ers as an alternative mode of transport to work but this doesn’t mean that you cant have a little fun on board this bus line. So lets start hopping. Wisma Cosway stop is not only a great interchange stop for the KL go color buses but it is also a gateway to KLCC. As many tourists who come to Kuala Lumpur for a glimpse of the twin towers, many do not know that it has an array of high brand shops, an amazing aquarium, an art gallery as well as a science center beneath these gorgeous Malaysian Twins. KLCC is a on stop shopping and convention center which houses many international exhibitions as well as couture brands. Aside from that, it has a metro line beneath the mall and it is a true hub on Kuala Lumpur. Though there are many ways to get to KLCC, this is one of the quickest ways by KL go bus.To get to KLCC, you would need to head straight up the covered pedestrian bridge and there are well guided signs to show you your way to the Twin Towers. Once there, you can cut through the “central park of Kuala Lumpur” from the convention center and the Twin Towers will be right above your sight. 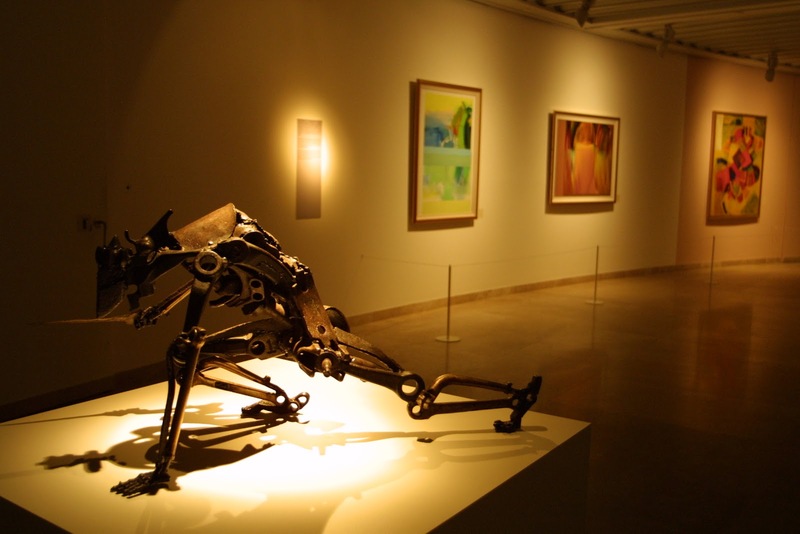 Opening hours are from 10.00am – 8.00pm. This stop is at the heart of the shopping area of Bukit Bintang. There are a few shopping malls at this location which houses various brands from the mid range section to the high fashion couture. If you are a big fan of shopping or your lady wants to feast her eyes on the best collections Malaysia has to offer, this is the place to go. Nearing the holiday season, the Pavillion mall will be heavily decorated with festive themes and it is a great spot to take pictures. 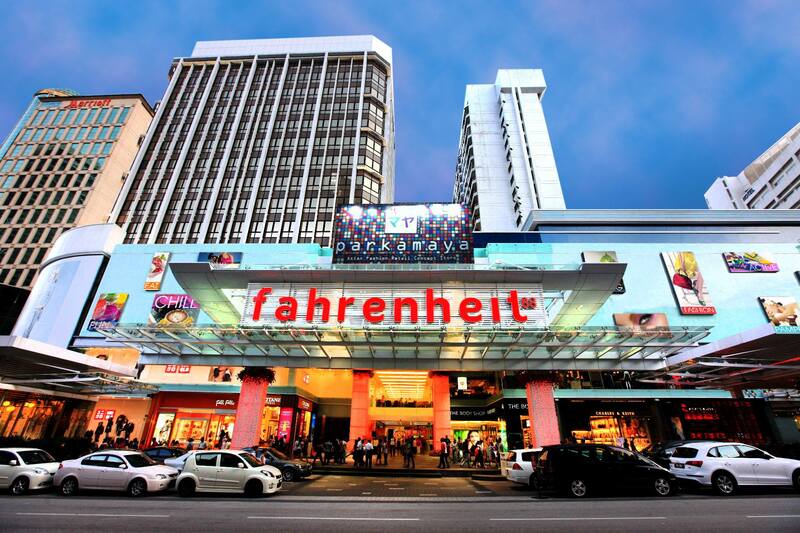 The malls located at this stop are Fahrenheit 88, Lot 10, Starhill gallery and the biggest one of all Pavillion. Pavillion Stop on the Blue line. 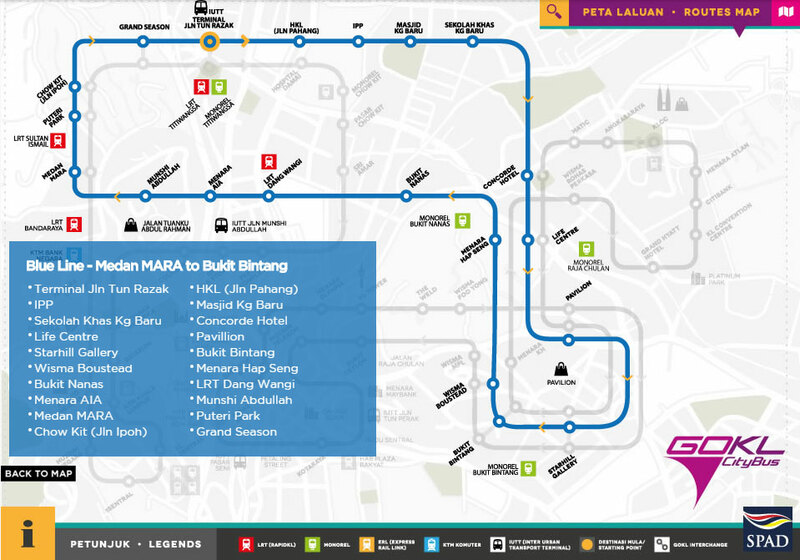 Bukit Bintang is another stop on the blue line bus. It is not far away from the shopping strip stop on Pavillion. Walk towards the direction of Farenheit 88 Mall and you will pass by Lot 10 mall and other smaller shops on the way. Once you are at the end, you will arrive at the famous Bukit Bintang junction. This is one of the most photographed street in Kuala Lumpur as it is captures a perfect image of the metropolitan city of Kuala Lumpur. At the Bukit Bintang stop, you can make a side trip to the famous Malaysian food street which is Jalan Alor. 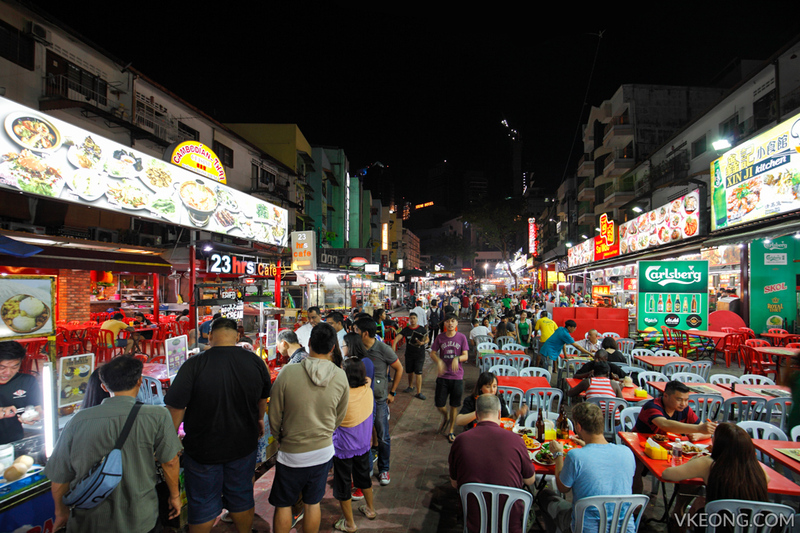 Jalan Alor is a well known food street famous for its bright lights and an array of great street food aromas to tingle you senses of what is authentic Malaysian food. I will publish another segment which covers this awesome food street ranging from the best foods and snacks. So stay tuned for another upload. This is a hidden find. 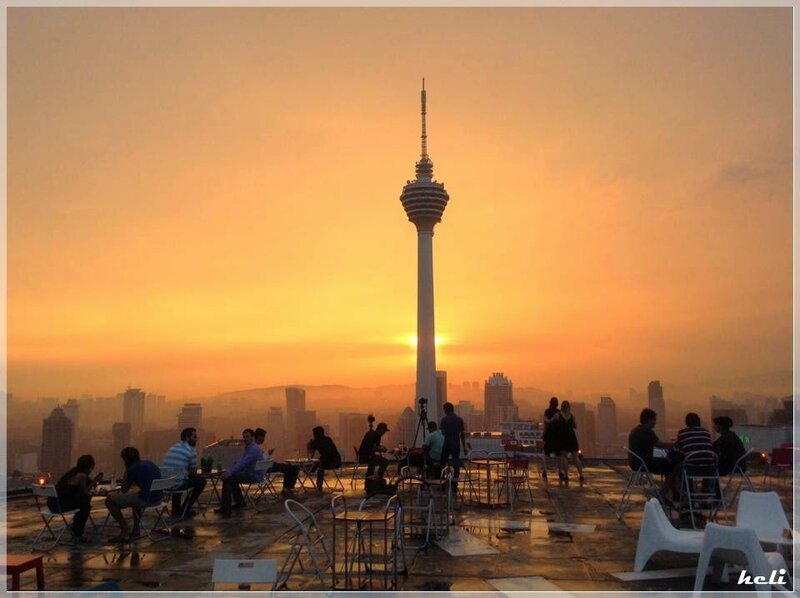 If you like to watch the sunset overlooking the Kuala Lumpur skyline, you can hop off the bus here and head to Heli Lounge Bar on Menara KH. Located next to the Raja Chulan Monorail Station. Head up the building to the 34th floor and you will be directed to the lounge. To catch the sunset, I would advice to get there at about 6:00pm to get the best spot. The access to the helipad is free from 6:00pm to 9:00pm. If you are with your partner, this would be a great romantic spot to impress them. The drinks up here is not as cheap as beers in a regular bar but the with that view, its well worth the price. You can view the Twin Towers from here too. 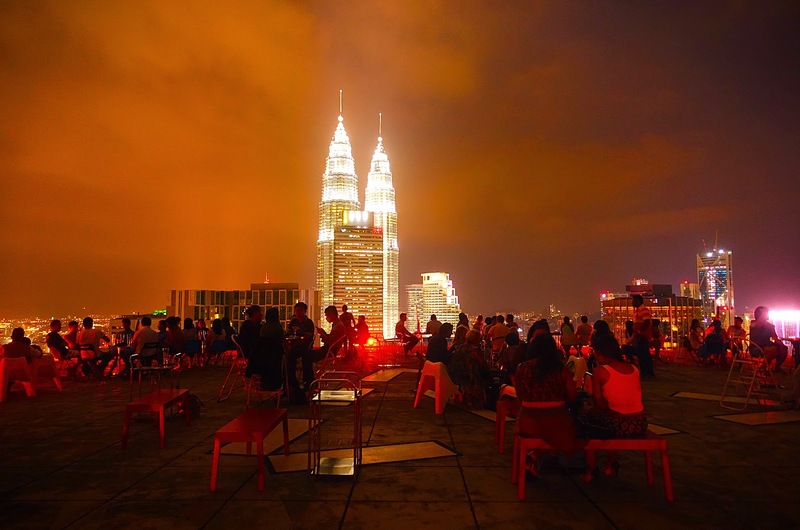 Or just lay back and enjoy the view of Kuala Lumpur with a drink in hand. How to get there from the bus stop. Head towards the Standard Charted building. When you arrive on the cross junction, take a left. Walk straight and after the monorail station you will come upon Menara KH on your left. Head up to the 34th floor and enjoy your view. Menara KH on your left after the monorail station. At this stop, you can make your way to the foot of the KL tower. The less popular architectural child aside from the famous twins, this is the 7th tallest communications tower in the world. 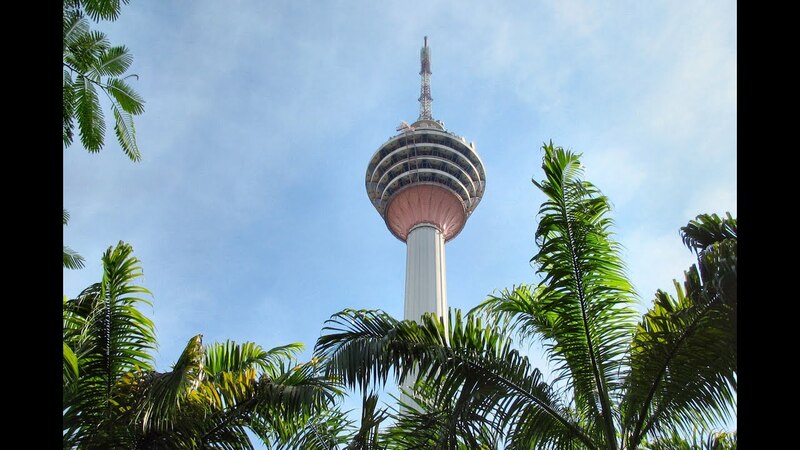 The KL tower offers a great place to take in the skyline of Kuala Lumpur as well a great date/dinner place with a revolving restaurant, aquariums, glass box observation decks, and a new upside down house it would sure to keep you there for a couple of hours of fun. 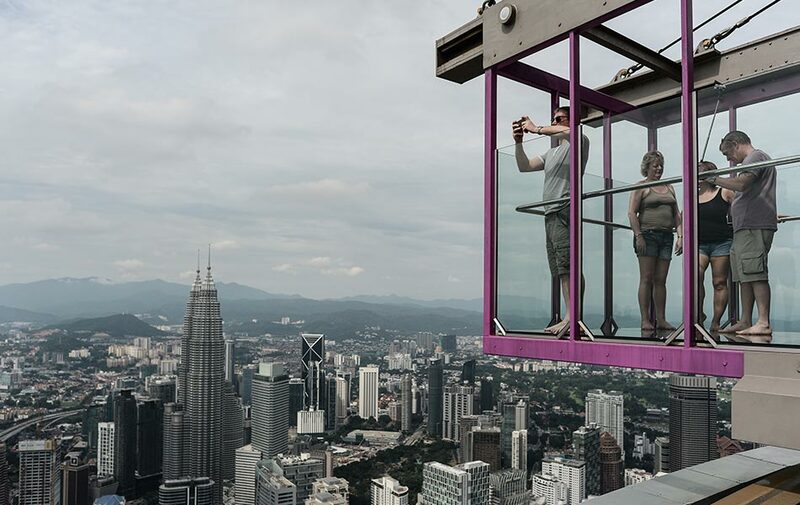 If you dont have a strict budget, this is where I would recommend to get great pictures and a total panoramic experience of the Kuala Lumpur skyline. KL tower skybox if you’re not afraid of heights. Walk against the traffic when you disembark from the bus. You will come across a sign pointing to your right into a street labled KL tower. Turn right and walk for about 5 minutes. You will be at the entrance of Kl tower. Opening hours are from 9.00am – 10.00pm. If you are a big medical buff and a strong stomach, you can visit the Biomedical Museum at this stop. 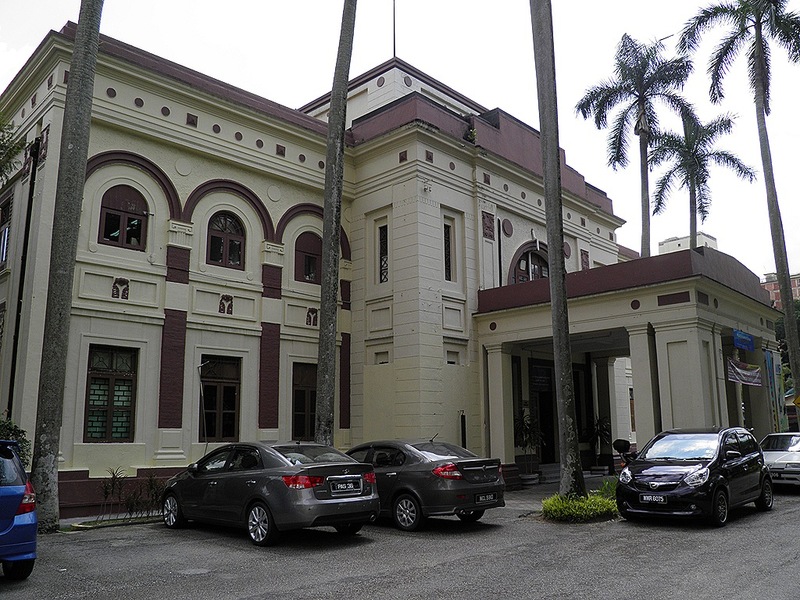 This museum in in the hospital compound and it is one of the hidden gems of Malaysian museums. The space features freaky body parts, cyclops babies and many more gory medical exhibits. This is where to go if if you’re naturally curious. Enter with caution. Pictures posted down below are explicit. You have been advised. Cross the road and enter into the medical research compound directly opposite the bus stop. After the gate, head right and the museum will be on your left. Kampung Baru is one of the early villages surrounding Kuala Lumpur. The Malay culture and also village houses are still visible and in use till this date. 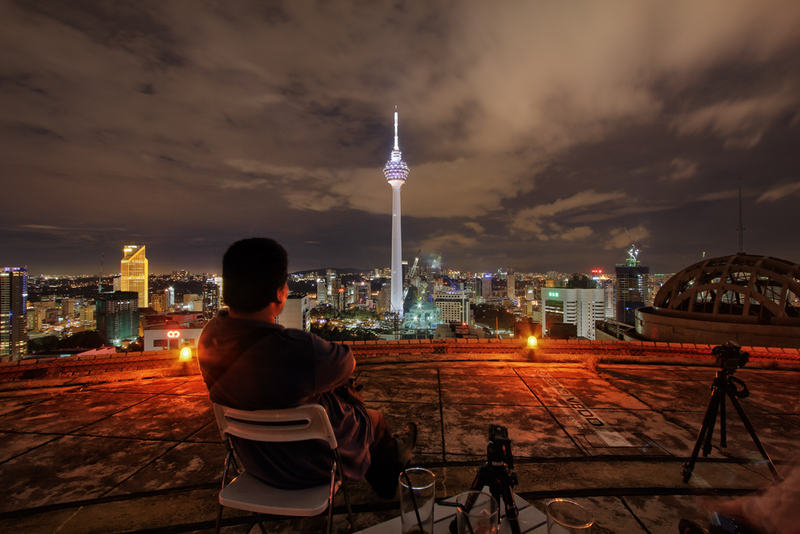 Kampung Baru is a unique place where you can see the blend of old and new. The village houses and the Malay community is still very similar to the days before Kuala Lumpur had become a booming city. Kampung Baru is filled with great local food and hidden gems. This is somewhere tours don’t take you and it is largely a local community. The night market starts from 6pm to late night every Saturday. On the month of Rahmadan ( May/June to June/July), the would have a food bazzar everyday from 5 pm till 7 pm. 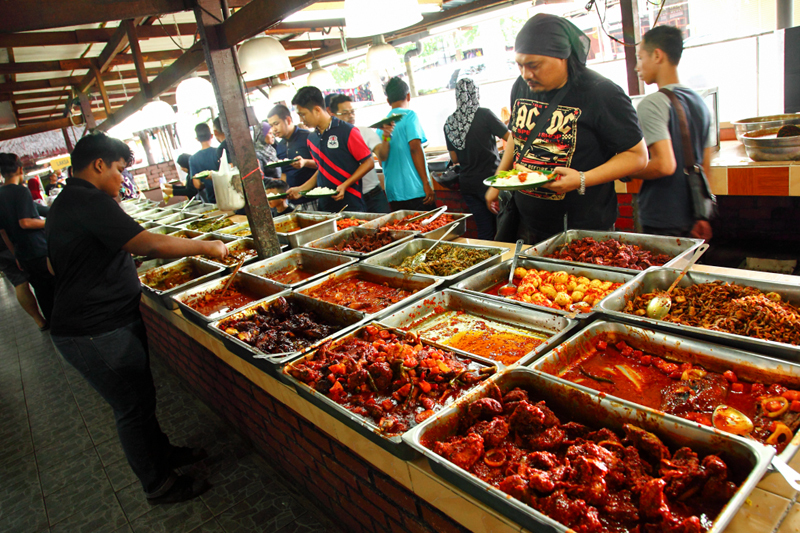 You can also visit Kampung Baru for the food on regular days and find great foods as well. Malay style curries and stews served with rice.